NES and SNES were "limited time opportunities"
With the NES Classic hitting stores in 2016, and the SNES Classic following suit in 2017, it likely comes as no surprise that fans were expecting a potential Nintendo 64 Classic (the next home console in Nintendo's historic lineup) to arrive at some point this year. A couple of months ago, an N64 controller trademark had been approved, with similarities between that and previous console releases making a new Mini release seem almost certain, but we still haven't heard a peep from the Big N.
So what's happening here? Well, speaking to Kotaku in New York recently, Nintendo of America president Reggie Fils-Aime has responded to questions about a potential release. Interestingly, he begins his response by talking about how the previous Classic systems were seen as ways to bridge the gap between Wii U and Switch, before reminding everyone of Nintendo Switch Online's retro capabilities. “So while consumers may have been anticipating something, we view these as limited time opportunities. We’ve also now been very clear that as the consumer looks forward to engaging with our classic content that is going to happen more and more with the subscription service." So there we have it: a Nintendo 64 Classic Mini console could happen one day, but Nintendo (at least in terms of what it's willing to announce at this stage) is not working on it at the moment. We've probably asked you this dozens of times before, but would you like to see an N64 Mini? Share your pros and cons with us down below. I expect this at some point, but the N64 controller has not aged well. The fact that he mentioned the subscription service leaves me optimistic for N64 games on the Switch! I'd have been happy to have a mini N64 for collector purposes, but I'd rather have these old games all on one device. It sounds like all the old VC stuff will eventually end up as part of the subscription. I never bought any VC stuff on the Wii/Wii U since I could already play most of those games on the TV. Now that I have the Switch and those games can be made portable, I want to buy them and they won't let me. Honestly an N64 classic would be horrible. Games like Goldeneye would be a licensing nightmare and it would cost so much to get all the controllers to play multiplayer like intended. So is he suggesting classic content beyond the NES will be coming to the subscription service? Then F-ing release N64 games on the Switch. FOR F SAKE!!! There's no point in paying attention to Reggie's comments on stuff, as he's likely not allowed to reveal anything on his own, and his word salad comments amount to little more than "no comment." NES and SNES Classic have sold like hotcakes, and Nintendo is making them consistently available to consumers now. You bet your buns there'll be an N64 Classic. At least he mentions the online service. I don't even want a mini system, just get those games on the Switch at a faster rate than 3 a month. At the current rate it'll be years before we even get to the snes. There goes all the November general Direct rumours proven fake, not that I believed them anyway. Smash is enough for Nintendo until 2019. Bring back Virtual Console, both the classic systems and the subscription service are a massive downgrade. @Stocksy I don't know man, I have a lot of nostalgia love for the N64 controller but that thing was whack, especially the joystick. BTW... I reaffirm my belief that NOA should get a new spokes person. Not saying that Reggie is a bad CEO, only that he has a way of saying things that infuriates people. And it's his lack of charisma (IMO). Destructable controller, weak game catalog. It'd make way more sense to have a GBC/GB classic. I would much prefer a classic Game Boy or GBA. The N64, a few classics aside, was possibly my least favorite Nintendo device ever. I also think we won't ever see a N64 mini because it likely wouldn't sell very well. The graphics from that era look ugly by today's standards, and most of the single player games were overlong and boring with a terrible camera system. Also, many of them were made by Rare which is now owned by Microsoft. Bottom line, the games were flawed and they've gotten even worse over time. Nothing beats playing actual snes software on the real thing Ala CRT goodness. Since they made patents that more then less says so. They will probably have it for Xmas ready if anything. @WaveBoy your experience is not my experience. But will his Japanese overlords say the same? I don't care much about the classic consoles. I would like the possibility to expand the game library legally. I would much more prefer a cheap "Virtual Console" console so I game by and download the classic games. the graphics aged worse imo. Reggie: "I would not ever rule something out, but what I can tell you is certainly that’s not in our planning horizon." yep; which is why i think the playstation mini/classic whatever is a non-starter as well. those graphics were truly bad and weren't really all that good when the systems released. i remember ridge racer and liking it but still thinking that it was waay off from the arcade and wishing the graphics were better. late 90's 3d was just a joke in all respects. wasn't until the ps2/dc came about that it got 'ok' and it took the 360/ps3 to finally get something comparable to the PC games that came before. Is the N64 library as strong as that of their NES/Snes countetpart? I don't believe so. We must assume that the majority of the 3rd party games is difficult to get license for since most 3D game franchises of that era still has potential for sequels today. Thus more difficult for Nintendo to include I imagine. @hatch I wouldn't look at sales of the PS1 Classic to represent any kind of indication for the attainability/sustainability of an N64 Classic, seeing as the PS1 Mini has an absolutely lousy and incomprehensibly bad selection of games, so if that fails to sell, it's on the idiot who selected those games, not on the device itself. The N64 always gave me blisters..
.. can't wait to experience that again! This is Reggie Fils-Amie the same man that said the DS wasn't getting a revision two days before it was announced. I like Reggie but never ask him a probing question and expect him to be honest. Aw man. I was really getting my hopes high for this one. The only Nintendo Console (not counting handhelds) I have yet to pkay a game on with the correct controller is the N64 and NES. Well there goes one slot on my list of stuff-to-buy-for-christmas. Time to get the NES classic then! So announcement in 2 weeks? I think it was on the cards but with Sega megadrive mini, playstation mini, and neo geo mini all launching this xmas there would be no room for the N64 it makes sence that it lands next year or the year after. From all the poor early reviews I've seen, maybe they're just waiting until the stink of the PlayStation Classic wears off before they release the N64 Classic? I've been holding off on getting the original Paper Mario on the Wii U VC as I was fully expecting a N64 Mini to surface over the next couple of years. I might just go ahead and grab it anyway. With the way that previous article about the online service assumed to not be doing that well, sounds like he wants us to buy into that first with the hopes of new VC games to make it a success. Then after it meets their numbers they will release another mini. Money either way, but I'm sure they want the online service to be the centerpiece instead. Was looking forward to finally having people stop talking about N64 Mini coming... and people are still insisting it isn’t. Ah well, guess that rumor isn’t dying anytime soon. @Slim1999 Oh, no doubt Nintendo would put better games on it. My point is the market is starting to get saturated with sub-par "classic" systems. The N64 mini would be a superior product no doubt, but think release it next year would be the wiser move. Then 2019 comes and Nintendo will be like "N64 Classic is releasing early Spring 2019!". I agree with Reggie on something, heck must've frozen over. If you think there's been a lot of negativity regarding the game selection for the PS1 mini, just imagine how much worse the N64 mini would be received. N64 is my favorite system ever and I'd love to have one that connects to an HDTV. However, WAY too many of the N64 games I'd want on a mini couldn't happen due to licensing issues, so I'd almost certainly pass on it anyway. 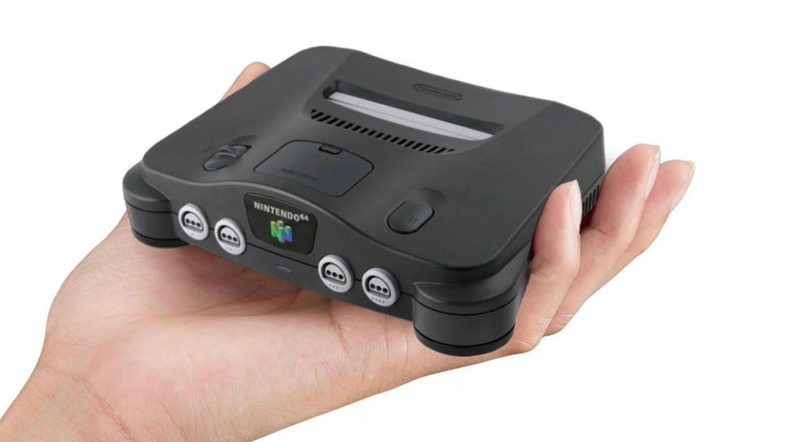 Likewise, I'm guessing there would be so much negative public response (no matter how hard Nintendo tries) that it's not really a smart idea to release an N64 mini. The box for an N64 Mini probably would be a nice size-- The N64 controller would practically be bigger than the console itself! Sure, and next week we’ll probably have a Direct announcing the N64 mini. I know your sneaky tactics by now, Nintendo! Nostalgia is a tricky business. They could pull a Sega and constantly mine the past (actually, only one era of their past, for the most part), or they could do what they're doing now. They recognize that the demand is there, but that demand has a nasty side effect. Do you remember, twelve years ago, how excited people were when Virtual Console was first announced? Man, I remember how excited people were to be able to pay $30 to play Super Mario 3 on their GBA's! Now? Switch owners, for the most part, are almost unanimous in their disinterest in having NES games as part of an online service. So, we went from paying nearly full price for twelve-plus year old games, in 2002-4 to paying next to nothing for them sixteen years later. The interest in NES has died, and it has nothing to do with the passage of time. These games have been released, rereleased, and rerereleased to the point where gamers no longer care. How far can nostalgia really take them before it fizzles out entirely? Nintendo probably recognizes that need to carefully curate their own legacy. It's not like they're doing it to deprive people of their childhood memories. Fils-Aime said it’s not happening? Cool. That’s my Christmas present off the wife next year sorted. I definitely think N64 Classic is coming, but it made a lot of sense to not release it this season, for a couple of reasons. 1) It would have been directly competing with Pokemon: Let's Go and Smash Ultimate, and 2) It would have been directly competing with the Playstation Classic. No sense in releasing the N64 Classic in such a hotly-contested Holiday season when they can just hold off until next year. I mean, I personally wouldn't have had the money for an N64 Classic , so I'm ok with it not releasing right now. Call me controversial but I think the N64 Mini is much more worthwhile than the PS1 Mini, especially as the latter currently stands. 1. Most of the good games are first party. Certainly enough to put together a list of 20 without any licensing issues. I do think an N64 Mini will appear at some point, but not likely for this year now, next year maybe, but a GB/GBC Mini is just as likely for then too, i'm more interested in a GameCube Mini though, imagine how cute that would look ! I was looking forward to this with a big nostalgia place in my heart. Sad its not coming but most likely I would have been disappointed with missing games due to licensing or games really not aging well. So next year, please? yeah...come on Reggie/Ninendo, I'm old in marketing years...give me my nostalgia! Well, that just about confirms we'll be getting retro goodness outside of NES games. Online Star Fox 64 and F-Zero X would be a dream. By the looks of it, seems like it's happening too. If I am dreaming, don't wake me up! I just don't get what people are expecting from interviews like these. Do you really expect reggie to announce the new mini in an interview? Of course he's gonna give a non-answer, he has to. Don't get all the hate for a spokesperson and i also don't get how this should be infuriating. "We’ve also now been very clear that as the consumer looks forward to engaging with our classic content that is going to happen more and more with the subscription service"
All I can say is that's not a bad thing to hear. The only problem is that his "more and more" should have already happened, shouldn't it? I would definitely pick one up if and when Nintendo releases a N64 Classic mini. The consoles design is still to this day my favorite console design, the N64 looks so sleek and modern even today it would look great on my entertainment center and I would really love to play Donkey Kong 64 again. @Ryu_Niiyama, I could not agree more . I had a suspicion that the N64 Classic won't release this year. It's too soon, otherwise, they'd be working on it, right now. Next summer seems more plausible, since it's when people don't go rushing for things in the summer, unless it's for a birthday gift. Still, gives me plenty of time to save up money for the N64 Classic Edition. N64 Classic Mini is already out. It's called Everdrive 64. People who love the NES games want them on a cartridge. We want to own them, not rent them. But there are also many Switch owners who don't care about NES games, and so they resent having to pay for online with NES games being the only reward. So Nintendo has angered and annoyed both of these groups. Seems like a dumb decision imo. Some of N64's best games, can't be in because of IP things, blame Microsoft for owning Rare. So with in-house and some third parties, you can't have a good library. But I believe that when we see SNES games on the Online, there will be the time for N64 games to be sold from the eshop. That's when the Patended N64 controller will come alive for our switches. Welp, there goes "Banjo's presence in Smash as an agreement for BK in an N64 mini" rumor down the drain. Final nail in its coffin, not like the rumor was ever that believable to begin with anyway. Of course, if N64 becomes the Online Service's latest addition, the paid subscription would go from zero to hero in no time flat. Just release All Zelda Games In Physical Form And Take All My Money Nintendo.. I think there is absolutely truth to that as well. However, I don't know if I would say that the target market for VC are necessarily passionate about owning cartridges. Yes, they definitely want to own a copy, but the success of the format, at least during the Wii era, demonstrated that gamers simply wanted a chance to reexperience that period. I equate Nintendo with Disney. There's a reason why Disney doesn't flood the shelves with their films. They always tend to release them, for a brief period, and then they put them "back in the vault." Those movies are valued, and Disney has done a pretty fantastic job with strategically releasing them. I see Nintendo doing the same. They could outsource their miniature hardware, ala Sega, but they're more focused on preserving their brand. I think that's partly why they're not making these Classic consoles a yearly tradition. Also, how far can you really go with it before it becomes the next thing that people don't care about? The reason why I ask is because you can find Atari Flashbacks/Sega Genesis Flashbacks at toy stores, grocery stores, flea markets, truck stops, you name it. Aside from being crappily-made, I don't think that the products would fly off shelves even if they were well made. At this point, a Dreamcast Mini would likely outsell a Sega Genesis Mini, mainly because Sega hasn't spent the past fifteen years milking that console's library. Don't get me wrong, I would love to have access to Nintendo's entire history, but I totally understand why that isn't a legal reality. Most gamers want to own their games, either physically or through an account system. Nintendo is offering neither right now. And I don't think your Disney analogy is accurate because all Disney movies are readily available to buy or rent. The online subscription debacle is a result of Nintendo doing what it wants to do, not what its customers want. This is a pattern I've seen ever since the Wii began to decline. Nintendo just doesn't care. Fine with me. Bring something newer than NES to Switch Online and I might actually sign up for it. @subpopz NES Classic is a better way to play NES games (better controllers).I agree that Reggie would never confirm something like this so his comment is worthless. Wasn't there another instance in the past where Nintendo said something wasn't coming and then it was announced a few months later? Maybe my memory is flawed. N64 and GC games have not aged well. Bring in the remasters! Nonsense, no way did Reggie think it would be this popular, it wasnt a strategic bridge. They'd be silly not to put a mini N64 out there. The control stick is the only issue, replace it with a Nunchuk one. I'd love to see some N64 games released on Switch, most notably the original Smash Bros. It'd be great if they released four controllers that would all connect to a small rechargeable bluetooth device that would connect 4 N64 controllers to the Switch. So you could have the experience of tripping over each other's controller cords without risking your expensive hardware. (Or just release Bluetooth N64 controllers). What I'd really love for them to do is port the N64 Zelda games from the 3DS to Switch, I've still never played Majora's Mask but I probably would on the Switch. (It'd also be cool if they moved over the various HD remakes that were on the Switch, and better if they did it while we're still waiting for BotW2. GBA Classic or bust. Best damn Nintendo system pre-switch. I don't really want a n64 mini, the games look terrible nowadays. I dunno. From what I'm hearing from PS fans, the selection on their lil plug n play fizzled more then it sizzled. They're very disappointed with the choices. @brunojenso All inclusive GB/GBC/GBA classic would make my day! I'd rather those titles on Switch anyway. Not a fan of this micro-console trend. My TV only has so many HDMI ports, splitters are unreliable (I've tried 3 different ones and 2 different TVs with the same issues) and physically changing the cables all the time is a pain. But I know this is the fad right now. Everyone wants a pile of micro-consoles in their closets. I’m still confident it’s on it’s way. I bet the controllers take a lot longer to produce and that’s what’s taking the time. @Heavyarms55 What issues are you having with HDMI splitters? I got some $6 thing from eBay and it's been working solid for almost 3 years. I don't ever plan on using a subscription service to play things on my Switch that I already own on other consoles. I'm still rooting for an N64 mini. Hopefully with a much better controller! @thesilverbrick Naah, The controller is fine it's just that the 'analog' stick needs to be replaced with a proper one that is more durable and it's totally reasonable. I am stil hoping for a GB/GBC portable classic with an hmdi option that includes a super gameboy esque menu and functions and some of the original borders but is also portable device throwback to simpler days and should be in the gameboy pocket format to bridge the classic and color perfectly. 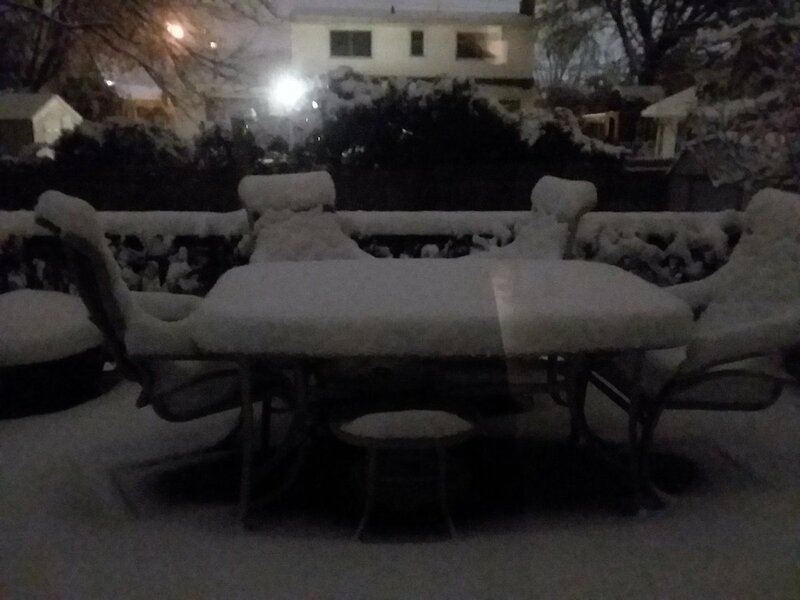 @Tempestryke That wasn't the brr pic, that was the "oh look the weathermen got it right for a change, a coating to an inch." 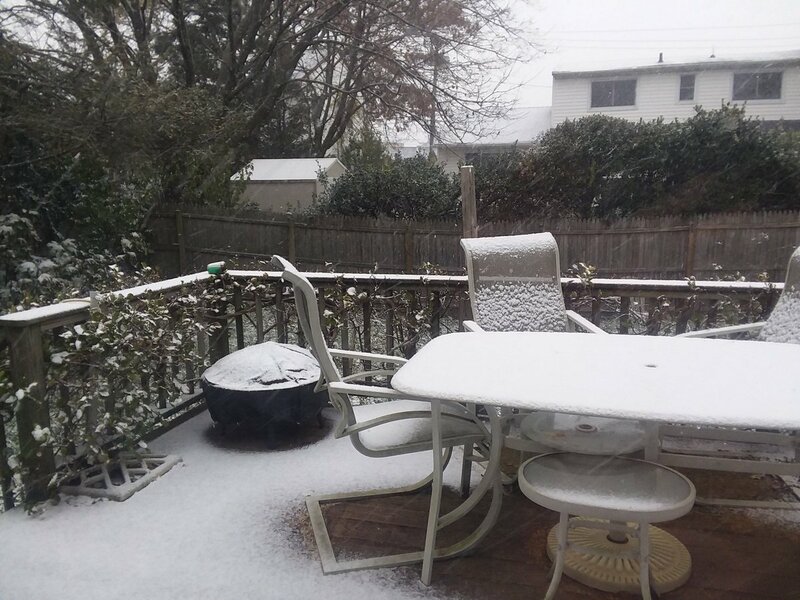 A few hours later when we had 4" was the brr pic. I call it "Sony at E3". I still have an N64 with over 50 games in a box. It was an interesting system for the time but playing the games now is not pleasing. I actually still have the NES hooked up to the CRT but the N64 I rarely take out. The graphics even on the best games looks muddy and washed out and the frequent frame rate issues mean that you are feel like everything is in slow motion. Some great releases for sure but lots of trash in the games library. Blockbuster had used games for the N64 for cheap so I picked some up every week. Wow terrible fighting games. Mace the Dark Ages had great graphics but extremely stiff controls, same goes to Fighters Destiny etc... Racing games had a similar fate. Basically anything not made by Rare or Nintendo plays like s*** now. So I’ll pass on the N64 mini and wait for a Dreamcast or GameCube mini since they got 3D right by that time. I agree. I loved the 64 era... at its peek. But 1st Generation 3D polygonal graphics just do not age as well as sprites do. There are great games but they're tough to look at these days. I'd be very surprised if the Playstation Classic sells close to the same stratosphere as the NES and SNES Classic consoles. Okay, this is the best indication that N64 games WILL in fact come in 2019 or 2020 to the Switch. Love I mean LOVE Starfox 64 though. They really got it right with that one. If there is one game that deserves an HD Remaster it’s that one because I don’t think they will ever be able to top it. One of the best games ever made. That sounds like every console ever. "so you're telling me there's a chance.............YEAH!" @goggles789 Everyone I have used, periodically loses that "handshake" security feature. This causes the signal to blink in and out. They've all been inconsistent for me too. Sometimes it will be fine for weeks. Then suddenly the screen becomes a turn signal on a car. Other times it will blink in and out irregularly. There is a big difference between marketing speech and the truth. Reggie combines marketing speech with being uncharacteristic. If N64 games come to Switch next year, that's a good compromise though. Still hopeful of a GoldenEye remake getting approved too. If there's nothing planned for a Nintendo 64 mini, then maybe they plan something like a Game Boy mini. I'd love if all the old black&white (err.. green) games had an option to play them with colors. Game Boy Color and Super Game Boy modes for games like The Legend of Zelda: Link's Awakening DX and Donkey Kong should be included as well. @BensonUii yep some n64 titles will not age well as it was that early polygonal period. It’ll be like watching brown cereal boxes running around foggy foliage. Saying that though it didn’t stop them being fun! Ah yes, the classic Nintendo line of "We currently have nothing planned". Very shortly after they always turn around and reveal otherwise. 1. The controller would be too expensive, and the system would have to come with more than one (as the N64 has many great multiplayer games). They would also need to make the control stick more sturdy without compromising the authenticity. 2. The N64 was never nearly as popular as the NES or Super NES (it lost very badly to the PS1), and conventional wisdom says that the library didn’t age as well (though still better than the PS1’s, obviously). 3. Getting the Rare licences would be complicated, and the system wouldn’t be complete without them. None of these are insurmountable, but taken together they make the N64 mini pretty unlikely. By the time the N64 launches, all the rom sites will be shut down. That's if we ever see the console, though. As much as I'd like to see that happen, just don't see it. Besides, N64 was created as a multiplayer machine/with 4 controller ports, so they will either need to supply it with 4 controllers, or package it with 2 and sell the others separate. That would be expensive as hell, plus all the licensing issues on top of it. @Heavyarms55 Sorry, I'm unfamiliar with the "handshake" feature. I just plug mine into the TV and it works. Real basic. What's it supposed to do? @goggles789 You're not supposed to be familiar with it. It's a security feature that you're supposed to never notice. But both devices detect that they meet HDMI standards before the signal can connect. Slippters can disrupt that connection, causing one or both device to think you're connecting to a non-standard device that could cause damage. It doesn't seem to be a universal problem, but from what I have researched online, it's a problem a lot of people have run into. Especially with devices that handle the split digitally, rather than mechanically. Terrible news. I guess I'll build a raspberry pi. I'm sure it would be easily hackable. I want HDMI, with original controllers Goldeneye and Perfect Dark.